My stream area. Foreground: Cleveland Sage. 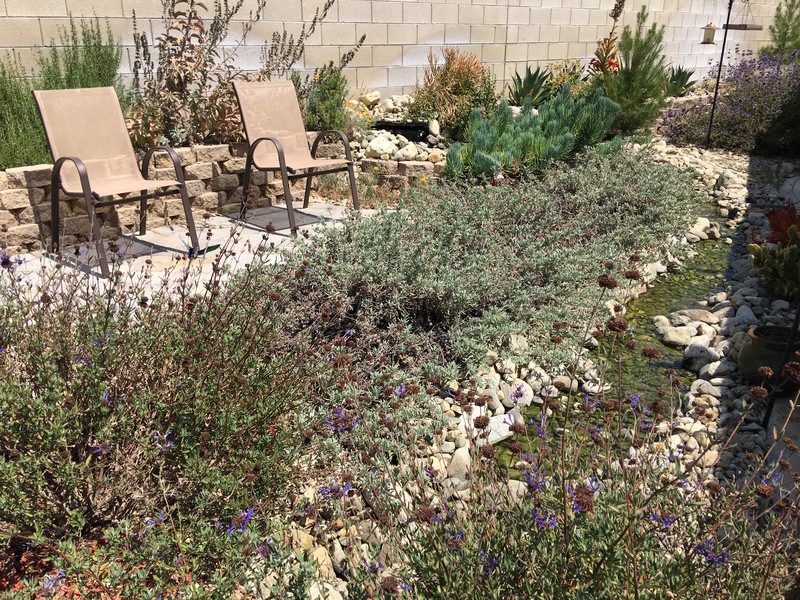 Also, Bee’s Bliss Sage, Eldarica pine, some succulents I don’t know. California Buckwheat in the foreground with some penstemons. My sages dominate the landscape right now. The heat is upon us. Not the full-blast, oppressive, scorch of the Inland Summer, but still very warm and very dry weather. We have been averaging the high 80’s and low 90’s this last week. I have to force myself not to water. My instincts tell me to water the plants. But my experience says that will stress the plants and turn their leaves yellow. And it attracts gophers. I hate gophers. A good gopher. Good and dead. I will walk past a black widow and let it live in my yard. I’m sure I don’t have to explain why a black widow can be a potential problem. But at least they eat other bugs. I’ve moved centipedes, the big yellow scary-looking kind, so I didn’t hurt them. I’ve gone out of my way to attract birds to my yard. Those poop on my chairs and patio. Their seeds drop and grow in my yard where I don’t want them. But they eat bad bugs and they are pretty. 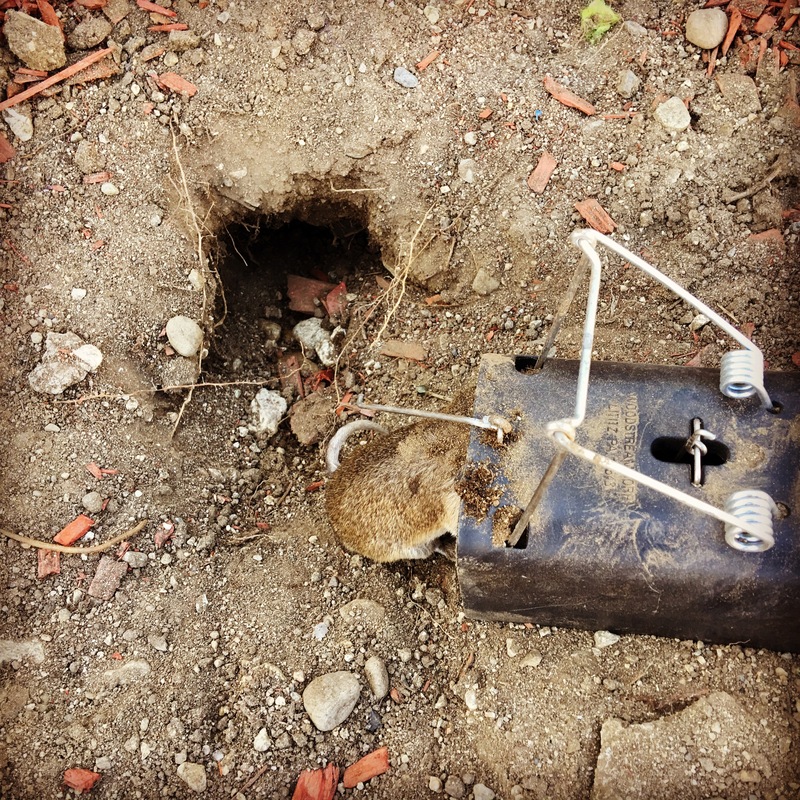 But I will drop everything to put a trap in a gopher hole and kill it. I know it sounds bloodthirsty and barbaric. I get it. But I’ve seen a healthy, blooming, growing manzanita turn brown and die within days because a gopher ate its roots and burrowed so much in its root system that it dries out. I’ve seen my baby pine tree pulled into a hole and its trunk gnawed by gopher teeth. That’s the kind of stuff that brings me to a lethal frame of mind toward small furry creatures. But let’s not dwell on the negative. 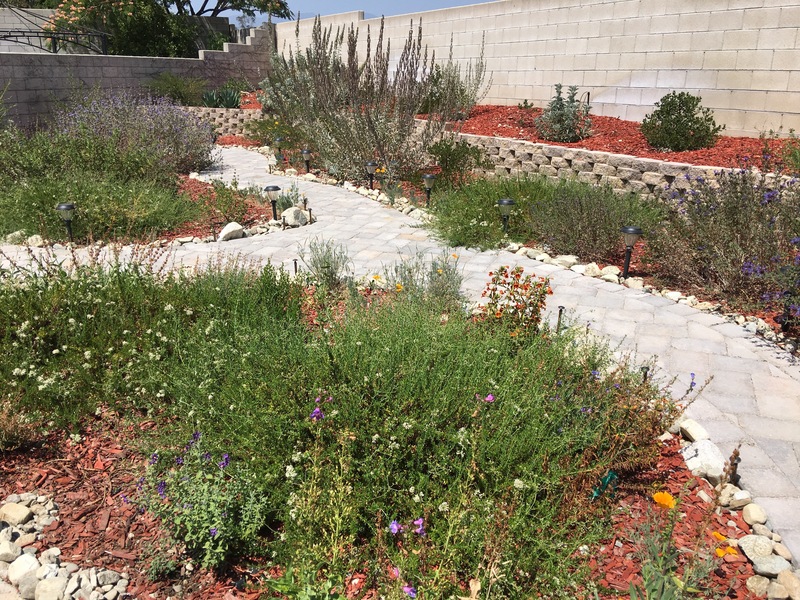 There is a whole yard of plants and flowers to look at and enjoy. The sun and heat are still bringing out the poppy blooms. I’m very pleased with my decision to sow poppy seeds around the garden. I think next October I will but several more packets and scatter them, too. It’s fun to see the little yellow and red flowers amid the rest of the plants. My Gambel oak (a non-native species from the Colorado/Utah areas) is finally putting on some height. Already this season it has sprouted a full foot higher. But my other two oaks remain short. The Wislenzenii seems to be growing slowly. But my Cryselopsis (Canyon Live Oak) looks like it’s the same size as when I planted it in 2015. The Buckwheat next to it is already higher! I know it takes a while to develop the roots for the tree to grow. But this seems extreme. 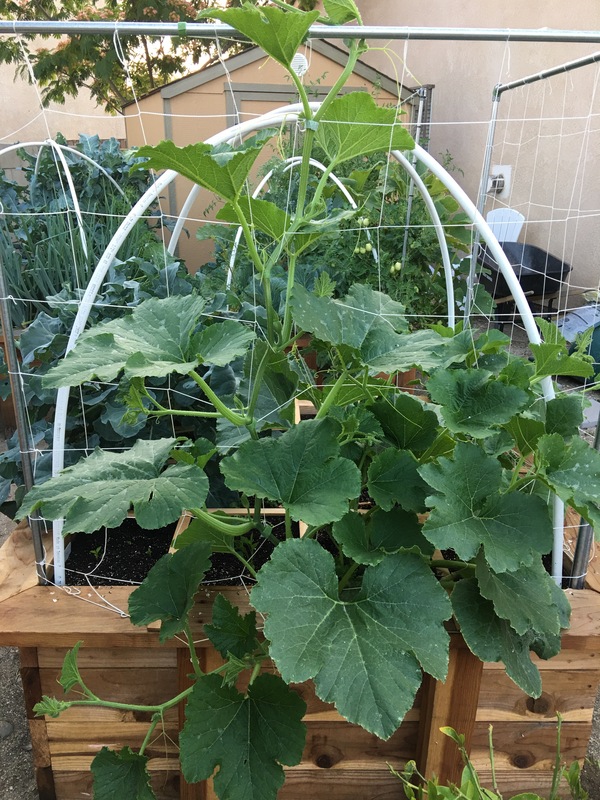 My vegetable garden is running rampant and growing wildly. Pumpkin vines climbing my trellis. I hope to have some good pumpkins for Jack O’lanterns by October. Judging by these vines, I will have that. The square foot gardening experiment is going well. I’ve got tomatoes for days and we’ve eaten broccoli, zucchini,and kale from the garden.